CHARLOTTESVILLE, VA, June 06, 2017 /24-7PressRelease/ — Quantum key distribution (QKD) is the first encryption process that is theoretically unbreakable; a strong use case in these days of perpetual malicious hacking. Meanwhile traditional public key encryption systems are increasingly vulnerable to eavesdropping from quantum computers which themselves have become commercialized in the past few years. 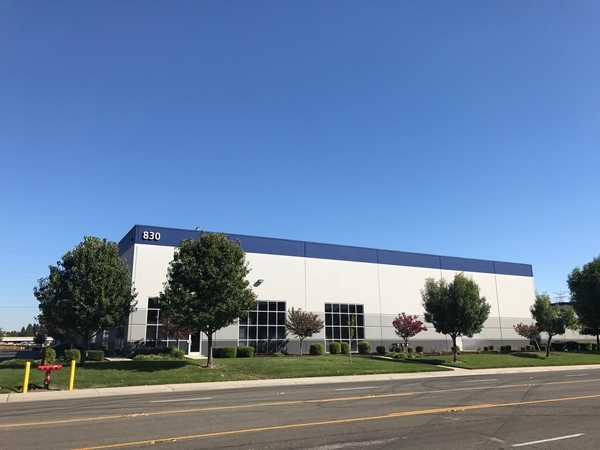 –	Ten-year forecasts of QKD systems installed and shipped, as well as the revenues generated from these shipments. The report provides breakouts for these projections in terms of end users (military, civil government, telecom carriers, utilities/infrastructure, data centers and mobile applications); transport technology (fiber optic, satellite and free space), major components (lasers and subsystems) and geographical location of end users. We believe that these forecasts are the most detailed ever presented in the QKD business. –	Strategic profiles of all the leading firms supplying QKD and related systems. In these profiles we discuss how each firm regards the current state of the QKD market and how they expect it to develop. We also examine their sources of finance and how they plan to develop their products over the next few years. Among the firms for which profiles are provided are Fujitsu Electric, HP Enterprises, IBM, ID Quantique (IDQ), MagiQ, Mistubishi, NEC, Nokia, NTT, Nucrypt, Oki, Qubitekk, Qinetik, Quintessance Labs, Raytheon, SeQureNet, Toshiba, Universal Quantum Devices and ZTE. –	An assessment of the latest QKD-related R&D and how this will impact the commercial quantum encryption market. The report focuses especially on technology innovations that will bring QKD to the data center and to mobile telephony networks. In addition, the report analyzes how the development of new “post-quantum” encryption software and quantum repeaters will impact the market for QKD products. This report will be essential reading for product, marketing and strategy executive throughout the entire encryption sector, including QKD systems makers and providers of encryption software of all kinds. It will also be of considerable interest to investors in the burgeoning quantum technology space. 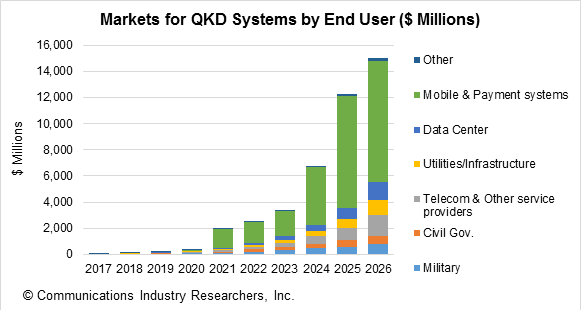 –	For fixed QKD systems, the market will continue to be divided between fiber optic and satellite transmission with revenues from selling QKD systems for fiber deployment reaching $565 million. In addition, we expect more long-haul deployments of QKD, which will be enabled by faster, and more secure quantum repeaters. The quantum repeater market itself will reach $107 million by 2022.